Recently there are increasing options to enjoy online content through the Internet as Wuaki or Filmin. Moreover, television offers a web service increasingly complete with a variety of programs available for viewing the more we want. This wide range of online content makes the computer screen is small but we have left, when connecting the TV to the Internet what is the best option? From here we will give you some ideas. We started. Before you ask the acquisition of a new device, you should review carefully our equipment audio / video, because we may have thought of replacing any of these components or to send us a Blu-ray or hard disk media, for example. Well, it is interesting to note that many of these devices include the role Internet TV or Smart TV, so we can use them as our access to the Internet through the TV. Let us also note that also the easiest way to integrate the Internet into our TV is ... buy a TV with the Internet! If our TV already has a few years and if in addition to having no network connection also offers compatibility with high definition images, for example, could take advantage of good deals they are offering brands and distributors at this time. It really is possible to us with a new TV that has the latest in terms of connectivity from very little money. If we are not interested in changing our TV and just want to add Internet access to our team, the best option will be made ​​with a box of Internet. 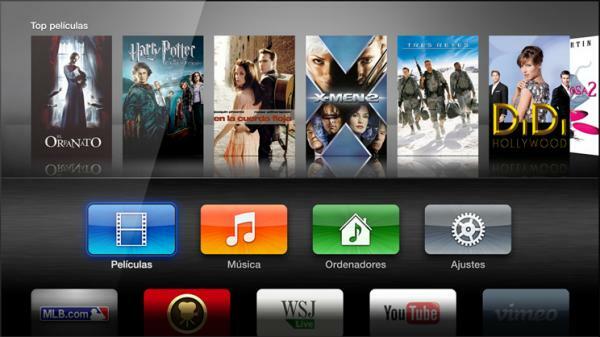 One of the main options is undoubtedly the Apple TV . This small device is ideal for users of other computers on the block, like the iPhone or iPad, allowing us to easily integrate all equipment, and enjoy their content on the big screen. Of course, all downloaded content must be paid for and through the iTunes Store. If we are looking for something more open, it is best to choose a box Android, more complete in terms of file compatibility. 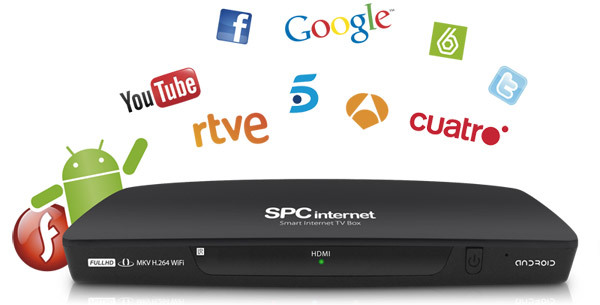 A good example is the interesting SPCinternet 9200 we reviewed recently in this page. This equipment allows us to access the Internet through the Google Chrome browser, download applications from the Google website Play, and of course, read all kinds of video formats like avi, mkv vob and even DVDs. Another valid option is to become a reader of Blu-ray to incorporate the Smart TV, like the Panasonic DMP-BBT01 or more conventional Sony BDP-S590. In addition to reading Blu-ray, these teams have access to the online portals of each brand, Viera Connect for Panasonic, and Sony Entertainment Network in the case of Sony. In the same way that Internet banks, these portals enable us to unburden applications, rent content online, watch YouTube videos or access our Twitter or Facebook accounts. As you can see, there are several interesting options for accessing the Internet from the TV. Moreover, these new devices are doing to change the way you view television, giving viewers more control over what we see, and offering a complete and varied programming.